David Woodbury put up a nice blog posting yesterday celebrating the birthday of William Faulkner. I read The Sound and the Fury back in high school but that's unfortunately the extent of my reading of this Southern literary master. Shelby Foote and Walker Percy (two fellows whose works I have read widely) are also mentioned in Woodbury's tribute to Faulkner. When Mr. Foote died, I decided I would finally get motivated to read some of his fiction; after all, he apparently wanted to be known as a novelist above all else anyway. [Coincidentally, Dimitri over at Civil War Bookshelf was doing the same thing.] I must say I was impressed with Foote's writing. I started with Love in a Dry Season and was suitably charged to go further. With Love in a Dry Season, his writing reminded me a bit of Fitzgerald although I would certainly maintain that Foote possessed his own suitably unique voice. I followed this first taste with Follow Me Down (this one has an intriguing experimental structure) and Jordan County . I enjoyed Jordan County, a collection of uneven short stories, the least by far. My next foray is planned to be September, September , whenever I get around to obtaining a copy. Of course, finding copies online is easy enough but it is rather disappointing how difficult his books are to find locally and the library system only has a copy of Shiloh, as if in perverse reinforcement of the general typecasting of Foote as only a "Civil War" writer (additionally, all the obits I read had him headlined as a historian). This brings me to a man often favorably compared to Faulkner (or dismissed as an imitator by more perverse critics). Cormac McCarthy is my favorite living writer and a novelist who is certainly among the top of any list of my favorite fiction writers from any period or genre. His landscapes (specifically his Appallachian and desert Southwest creations) and images are stark, cruel, and often hopeless yet they are at the same time exceedingly beautiful. The characters that inhabit these worlds are equally unforgettable, most notably The Judge from Blood Meridian . 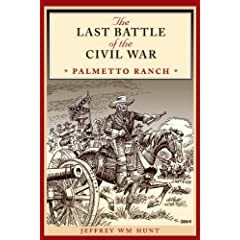 Hunt: "The Last Battle of the Civil War: Palmetto Ranch"
The Battle of Palmetto/Palmito Ranch could be thought of as a microcosm of the opposing forces that fought the Civil War in the west. It saw a heavily outnumbered (300 to 500) Confederate force face a mixed Federal brigade comprised of northern whites (34th Indiana), blacks (62nd USCT), and Texas Unionist (two companies of the 2nd Texas) forces. In terms of real consequences, Palmetto Ranch had nearly none. Although heavy in captures, casualties in killed and wounded were remarkably light for both sides and the strategic situation changed not at all. Its real lasting interest is its distinction as the last 'battle' of the Civil War and the irony that the war's concluding fight was a complete Confederate victory. Released less than a year after Phillip Thomas Tucker's The Final Fury: Palmito Ranch, the Last Battle of the Civil War , Jeffrey W. Hunt's The Last Battle of the Civil War: Palmetto Ranch is clearly the superior of the two [Tucker's book is not great, but it hardly deserves the one star rating from the Amazon reviewers...if that's saying much, it's actually one of his better books--although it's just as poorly edited and retains his infuriatingly repetitive writing style]. Perhaps Hunt's battle narrative lacks the color and clarity found with the best battle histories but he writes very well overall and his text is supported by numerous maps. The setup for the Union movement up the Rio Grande and coverage of the aftermath of the battle (including the court martial of the 34th's Lt. Col. Morrison) is thoroughly covered. Rounding out the book, a detailed order of battle is included, as well some supplementary source material in the appendices. Interestingly, the author uses the same sources for his background material concerning the cross-border cotton trade that Stephen Townsend does but arrives at an opposite conclusion in his assessment of the importance, scale, and profitability of the whole exercise. This only increases my interest in reading James Irby's Backdoor at Bagdad myself. In the end, The Last Battle of the Civil War probably (and undeservedly) will have little broad appeal, but readers interested in the last months of the war along the Texas-Mexico border will be richly rewarded here. 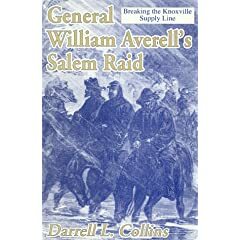 Collins: "General William Averell's Salem Raid"
Travelling over 200 miles in horrible winter conditions, W.W. Averell's December 1863 raid on the Virginia and Tennessee Railroad was a trying ordeal to put it mildly. The Union cavalrymen were able to cross the mountains from West Virginia into SW Virginia, break the railroad, and return home with light losses. With little help from fellow Union officers but a great deal of help from the decisionmaking of Jubal Early and William L. Jackson, Averell's leadership on this raid belied his cautious reputation and contributed greatly to the Union force's overall success. As always with war, it helped to very lucky, too! Author Darrell Collins writes clearly and very well. 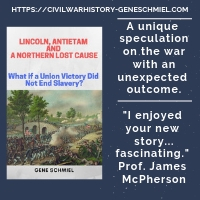 His view of the raid's effectiveness is balanced and he does not succumb to the hyperbole we so commonly find in the cavalry raid genre of Civil War literature. While losses in horseflesh were steep and many men suffered frostbite related amputation of limbs and digits, Collins believes the raid was worth the cost and effort. The break in the Confederate railroad supply line was repaired rather quickly, but the raid's results nevertheless forced supply shortages upon Longstreet's men in the mountains to the west. Interestingly, the author also makes the point that the arduous pursuit ended up significantly hampering the fighting ability of several ANV cavalry brigades for the upcoming campaign season. Beyond good writing, Collins also helps his cause by providing numerous chronological position maps at almost daily intervals, depicting the location of the raiding force along with its Union support columns and Confederate pursuers. Photos and a detailed order-of-battle (including some unit strengths) are other welcome features. A nice book. Mobley: "Making Sense of the Civil War in Batesville-Jacksonport and Northeast Arkansas 1861-1874"
Making Sense... is a narrative history of the Civil War and Reconstruction periods in northeast Arkansas. The main region under consideration is the rough triangle formed by the towns of Batesville (on the White River), Jacksonport (located at the junction of the White and Black rivers), and Pocahontas (on the upper Black). Local historian Freeman Mobley connects extensive excerpts from military and civilian letters, diaries, and memoirs with his own narrative of events. This is executed well for the most part and a nice touch was the extension of the narrative into the Reconstruction period, a subject too often presented in relative isolation from the war itself. Text coverage of military campaigns and social/political issues is comprehensive but not very detailed. However, my main complaint is with the way the book is promoted. It seems to me that a work that purports to "make sense" of such a complex and deeply divided region would construct some sort of analytical framework in support of an argument. Mobley does not do so, and while the primary source materials included within the text and the notes/bibliography might be useful, experienced readers are likely to be left with unfulfilled expectations. On the other hand, newcomers seeking a general introduction to the Civil War in northeast Arkansas will find this comprehensive history helpful. The latest issue of Blue & Gray Magazine arrived in the mail this week (in it's customarily mangled condition...gee, thanks once again USPS). The main article deals with the July events from the 1864 Shenandoah Campaign and is written by Scott Patchan. The author's current work has been mentioned here several times (this most recently). Brett does a great job summarizing all the mag articles so suffice it to say this issue will likely serve as a nice introduction to Patchan's upcoming book Shenandoah Summer. Hardway: "On Our Own Soil: William Lowther Jackson and the Civil War In West Virginia’s Mountains"
On Our Own Soil: William Lowther Jackson And The Civil War In West Virginia's Mountains (Quarrier Press, 2003) by Ronald V. Hardway is a hybrid work (half W.L. 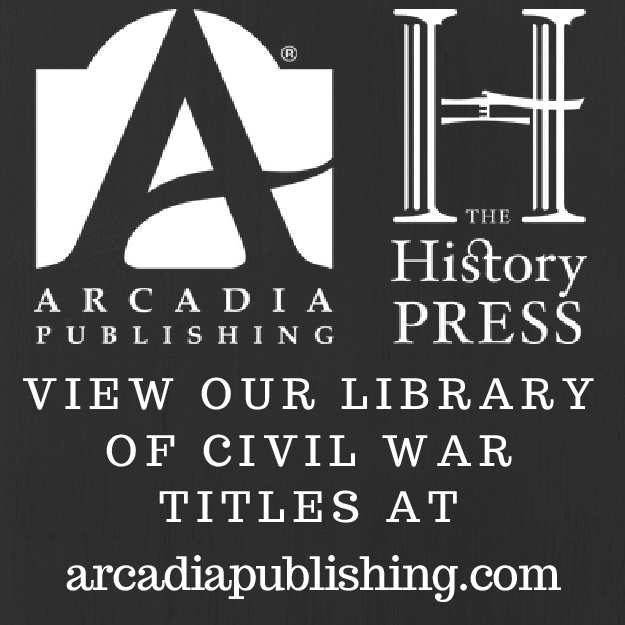 Jackson bio/half battle history of 19th & 20th Virginia Cavalries). The biographical materials are brief but fairly well researched, covering Jackson's family history, his antebellum career in northwestern Virginia, and his post-war travails (unlike some other Confederates, he found a return to his pre-war home county very unwelcome). Overall, his military service was rather undistinguished, and to his credit, author Ronald Hardway does not seek to embellish his military record in the eyes of history. The unit study part of the book covers two rather unruly regiments. Partly formed from various independent companies who styled themselves as 'rangers' and scouts, discipline in the 19th and 20th Virginia was lax according to Hardway. A reviewer, I think it was Bob Krick, recently said beware of books with large numbers of consecutive citations from the same source. This is obvious, but the quote echoed in my head while reading this book, particularly the parts covering military events. In On Our Own Soil, it's common to come across a citation from the O.R. followed by a half dozen or more ibids. Although some obscure raids are covered, the military history isn't very illuminating stuff overall and some of the confusion is compounded with subpar maps. Additionally, the reader isn't given the opportunity to learn much about the fighting men of these units (perhaps the H.E. Howard regimental series can add something in this regard). The author mentioned that only four soldiers from these units left published memoirs, but what about letters, newspaper articles, or diaries? To be fair, I am not aware if those sources exist in any numbers, but this particular volume left me unsatisfied, unlike several other books I treasure that were published by The West Virginia Book Company/Pictorial Histories/Quarrier Press. Sterling Price's disastrous 1864 raid across the state of Missouri continues to escape serious attention by historians. In 1995, University of Colorado Press reprinted a revised edition of Howard Monnett's Action Before Westport, 1864, a short but reasonably good narrative history of the campaign first published in the 1960s. It's considered a classic, but we could really use an updated and more detailed modern account. Citadel professor Kyle Sinisi is attempting just that. I recently emailed him for an update on his Price Raid project. I was happy to hear that he's discarded plans for a short overview history for Rowman Littlefield (presumably to be part of the American Crisis Series) in favor of a much larger in-depth study. As for progress, Sinisi has completed his first draft up to the battles of Independence, the Little Blue, and the Big Blue and hopes to finish the project next year. "The Battle of Fayetteville, Arkansas"
As a small battle of little military importance, the battle of Fayetteville is interesting primarily because of the clash of Arkansans from both sides. According to author Russel Mahan, Fayetteville marked the moment when Union Arkansas units gained respectability among their comrades (the 1st Arkansas Cavalry performed poorly in the earlier battle at Prairie Grove) and their enemies. Drawing upon material from both military and civilian sources, Mahan has written a balanced and informative account of the battle. Readers of North & South magazine will also recall that the author contributed a fine Fayetteville battle history article to that publication. 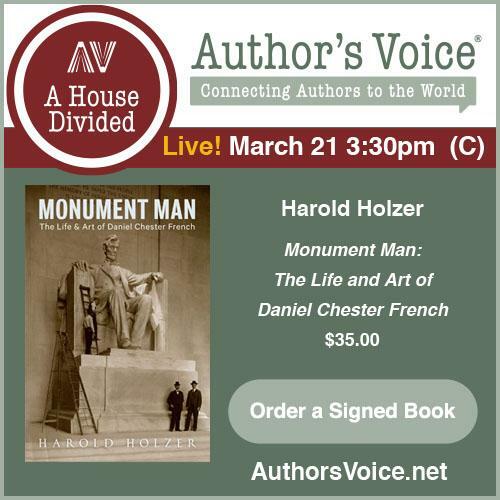 Owning a copy of both isn't essential--the softcover book adds mainly background material and unlike the article does not include notes--but CW Arkansas enthusiasts will probably want to. [Mahan is also the author of FAYETTEVILLE ARKANSAS IN THE CIVIL WAR. Bountiful, UT: Historical Byways, 2003. Illustrated, notes, bibliography, index, paperback, 143pp. $19.95 (see link above)].